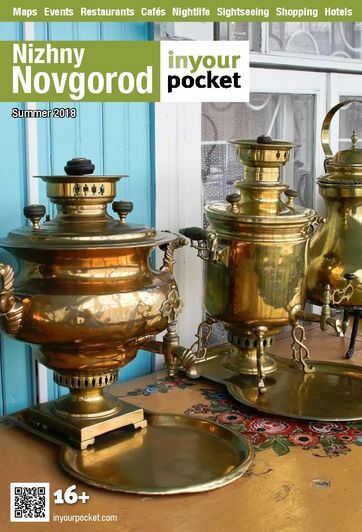 'Moscow is the heart of Russia, St Petersburg its head, and Nizhny Novgorod its pocket.' So went the old saying; thanks to its famous market and its strategic position at the confluence of the Volga and the Oka, it was once one of Russia's richest cities. Since the collapse of Communism, however, Russia's pocket has been emptying. Its once-great market now has few visitors, whilst the UN has named it 'Russia's fastest-dying city'. That's not to say that Nizhny Novgorod is a ghost town: but the empty and dilapidated rooms of little wooden houses lining the streets are testament to the fact that every year, thousands of the city's inhabitants are drawn into nearby Moscow's metropolis like moths to a flame (leaving the city, it seems, with an oddly lop-sided population where women outnumber men by 150,000). Nonetheless it's still Russia's fifth largest city, with over a million inhabitants, and Moscow modernity is slowly but surely seeping into its culture. Despite its size, much of it still feels like a small town, thanks to its plethora of charming wood cottages and 19th century town houses. 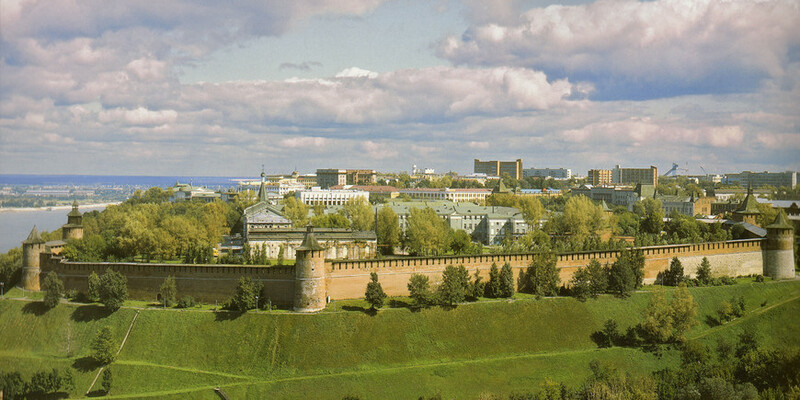 The city's varied face bears testament to its long history, beginning in the form of a hill fort in the 13th century that eventually became known as 'Nizhny Novgorod' - 'Lower Newtown'. Its impressive red-brick Kremlin was constructed in the 16th century as the city gained importance, and though it has been in varying states of disrepair throughout the ages, it has now largely been restored and like any good Kremlin marks out the heart of the city. The moving of the world-famous Makarev market to Nizhny in 1817 put the wind in its sails, drawing in tradesmen from far and wide, and continued to propel the city's economy and growth until the mid-twentieth century. Despite this, there were no permanent bridges across the Oka or the Volga until the Revolution, before which temporary bridges were used during the trade fairs. The city's most famous son, author Maxim Gorky, provided the namesake for the city between 1932 and 1991 - in fact it was renamed during the writer's lifetime, which must have been a surreal experience for him. During much of the Soviet era, Nizhny was closed to foreigners due to its significance in Soviet military production, meaning that this town has been little explored by foreign visitors. Because of its closed status, it was the location of choice for the Soviet state to hide away Andrei Sakharov, physicist, human rights activist and dissident, to keep him from meddling and talking too loudly and publicly about the country's faults. Despite modern building technology, the city's appearance is still shaped by the two vast rivers that run through it. Unstable soil means that conditions are less that favourable to high-rise buildings, so the city retains its town-like air despite being home to well over a million people.